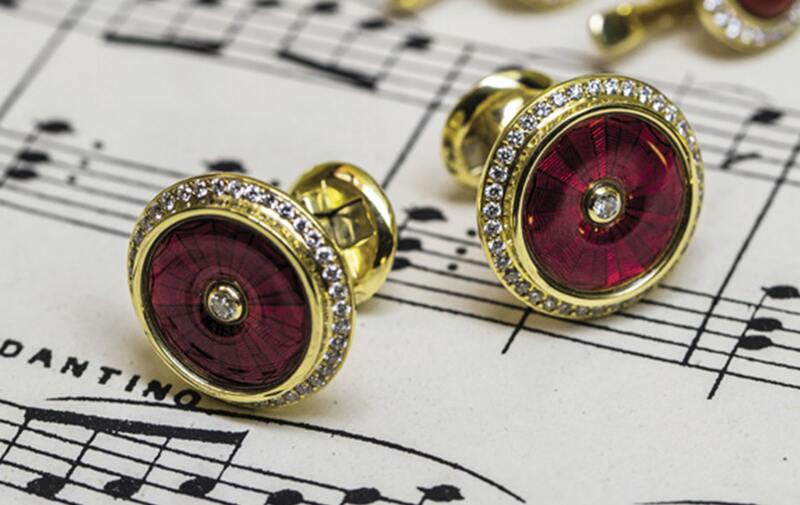 Who says only women like to adorn themselves with fabulous baubles? The first book devoted entirely to jewelry for men proves otherwise, fielding pictures of gorgeous males sporting diamond skulls, sapphire-spotted leopards, ruby-studded bows and arrows, and heavy gold serpents to accessorize everything from tuxedos to T-shirts, biker jackets, and jeans. 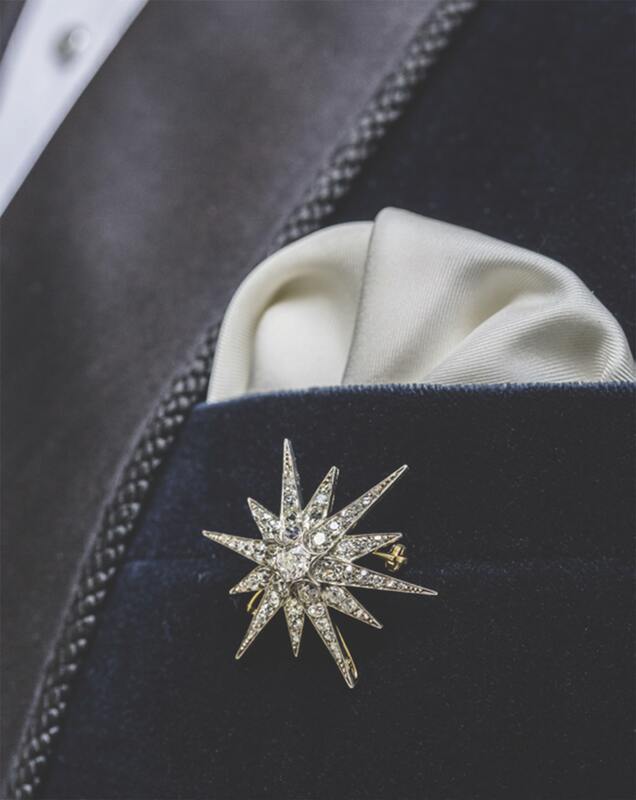 This is serious bling from top designers who command thousands for their bespoke pieces, but demand for couture gems is as old as the hills, says James Sherwood, author of Jewelry for Gentlemen. “Men of power have adorned themselves with gold and gemstones since the time of the ancients,” explains the fashion writer, who credits the celebrities who have succeeded the pharaohs, emperors, and maharajas of times past as the power brokers of today, bringing back precious stones as a symbol for men who want to show they have it all. Given the shift away from formal wear, it’s no longer only about the tiepins, signet rings, watches, and cuff links to which male jewelry was relegated by the mid-twentieth century. Rock ’n’ roll emboldened the boys to start dressing up again like the dandies of old, and today’s peacocks wear necklaces, bracelets, and brooches simply dripping with gems. “Hip-hop, gay marriage, and gangster style have all opened the door to diamonds for day,” explains Sherwood. Indeed, once rappers showed that even a tooth could be an excellent vehicle for a diamond, the world’s most high-profile sportsmen—David Beckham, Cristiano Ronaldo, and Lewis Hamilton among them—took up the challenge, and today they field more sparkles than their wives and girlfriends. Sherwood’s book charts the evolution of male bling over the past century with some remarkable pictures of pieces that might seem to be the stuff of folklore. It turns out what must surely have been the most lucrative commission in Cartier’s history was from a man wanting a very special necklace for himself. In 1928, the Maharaja of Patiala commissioned a breathtaking multistrand creation featuring no fewer than 2,929 diamonds arranged around a whopping 235-carat central stone. But it was a British king—the Duke of Windsor, who briefly served as King Edward VIII before renouncing his throne for love—whose jewelry collection broke auction records in 1987. Once he had fallen for Wallis Simpson, he used his favorite pieces as a vehicle to express his feelings for her. Love tokens like the interlocking Cartier ring in three shades of gold inscribed “Darling Wallis” and a secret courage mantra in the “Hold Tight” message he had inscribed on one of his diamond cuff links are shown in the book, along with some rare and highly prized estate gems of the czars. “Any piece of jewelry connected to the doomed Russian Romanov royal family is highly prized . . . collected and worn like religious relics,” comments Sherwood. When it comes to love tokens, it would be hard to find a more overtly romantic piece than Wartski’s diamond-encrusted quiver packed with diamond-and-ruby arrows; they’re intended to be removed and pinned on a lover’s lapel. Today’s couples show their love more overtly, like Harry and Meghan, whose identical friendship bracelets first told the world they were an item. Celebs have led the way in adorning a well-turned male wrist—Marlon Brando wore a silver ID bracelet in A Streetcar Named Desire and Paul Newman a gold one in Sweet Bird of Youth. Now, says Sherwood, “Men such as Johnny Depp, Steven Tyler, and Keith Richards stack their wrists with beads and heavy metal,” while the hip-hop community has embraced diamond bracelets ever since P. Diddy was seen rocking an art deco version in Beverly Hills back in 2004.